UPDATE: Check out highlights from Saved by the Max’s menu here. On Saved by the Bell, Zack, Kelly and the gang attended the fictional Bayside High, located in the equally fictional neighborhood of Palisades, Los Angeles. 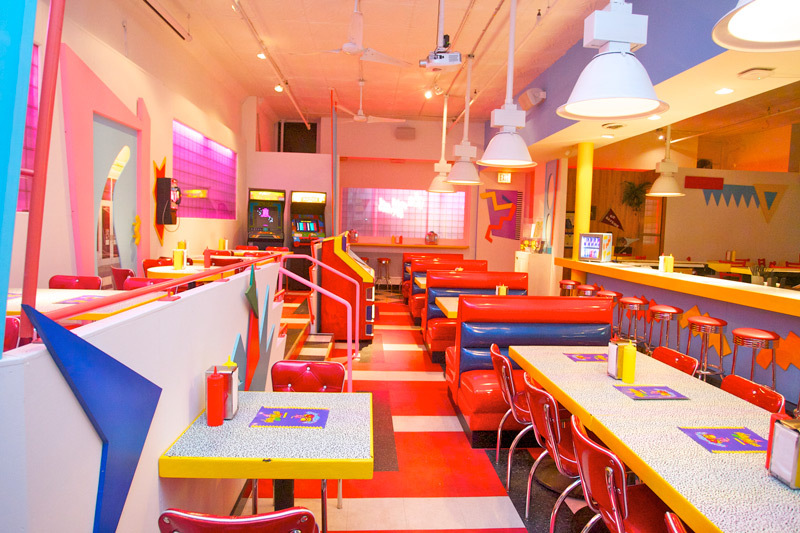 Last year, a pop-up diner based on the gang’s favorite hangout, The Max, opened in Chicago. After a sold-out run in the Windy City, the diner is “graduating” and going on the road. Its first stop is its TV hometown, Los Angeles. The pop-up opens on May 1, 2018. Tickets are on sale online now for dinner and brunch service. In addition to the main space decorated as “The Max,” there is a second room designed as “Mr. 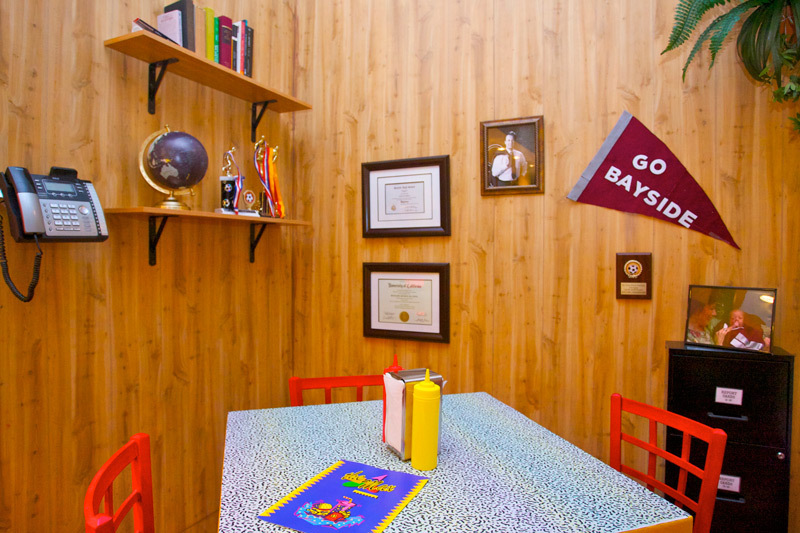 Belding’s Office” which will also be available for private event rentals, should you have a special occasion that needs some Saved by the Bell flair. Saved by the Max will be located at 7100 Santa Monica Boulevard in West Hollywood, in the West Hollywood Gateway shopping center. The attention to detail is pretty intense. 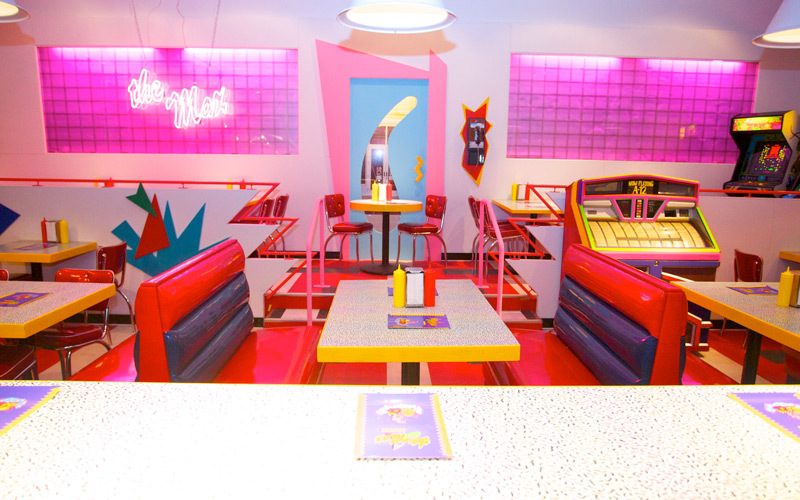 You’ll literally feel like you’re visiting the fictional diner on a day when Slater, Jessie, Screech and their friends just happened to be busy elsewhere. There will be a full menu, including a variety of diner food dishes with Bayside-inspired names, and a cocktail list which, inevitably, includes an I’m So Excited drink (vodka, Red Bull, and rosé, just like Jessie would have wanted… maybe? ).